Yet again, two weeks have past since we last gave you all an update on what’s going on in the Raft HQ. The weather here in Sweden has been less than great for outdoor activities. Big dark clouds and endless amounts of rain. Terrible, some would say… But not us! The way we see it there’s less sun glaring in the monitors and the room temperature is kept cool. Perfect for developing computer games! Anyhow, when we first made the prototype available on Itch, the UI was kind of thrown together in a haste, so we felt we needed to give it some more love and care and turn it into something more tasty. The layout is mainly the same so you should have no problem navigating it if you’re used to the old one. We have made some small layout changes in an attempt to make certain things clearer, such as item names and what it takes to craft them. Lets take a look! Here’s a comparison between the old and the new UI! As you can see the main color scheme has changed a bit. The item icons are now on a light background in order to pop more. The health, hunger and thirst bars have been redesigned and moved over to the left part of the screen to not interfere with your hand. The list of items you can craft now also show the name of each item. This allows you to more quickly identify what each item is, as opposed to the old UI where you had to click each item to see its name. The ingredients required to craft a certain item are also shown with names, instead of just the picture. Tell us what you think about the changes! 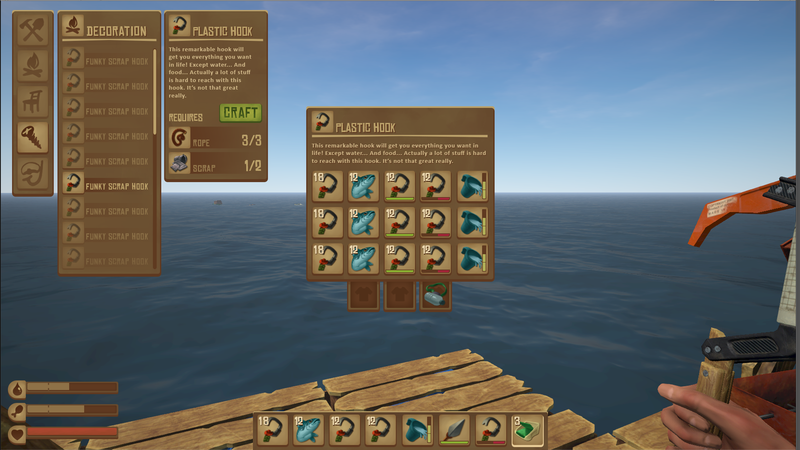 We are also remaking and adding more parts for you to construct your raft with and preparing the building system to support this. 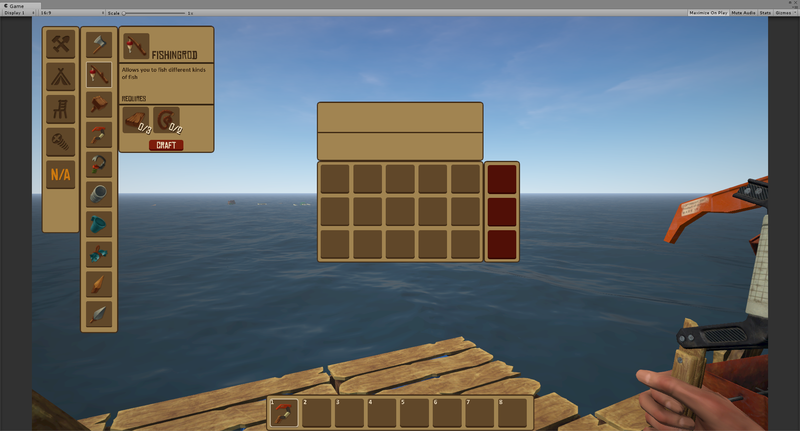 This will give your raft more variation and give it a more personalized feel! 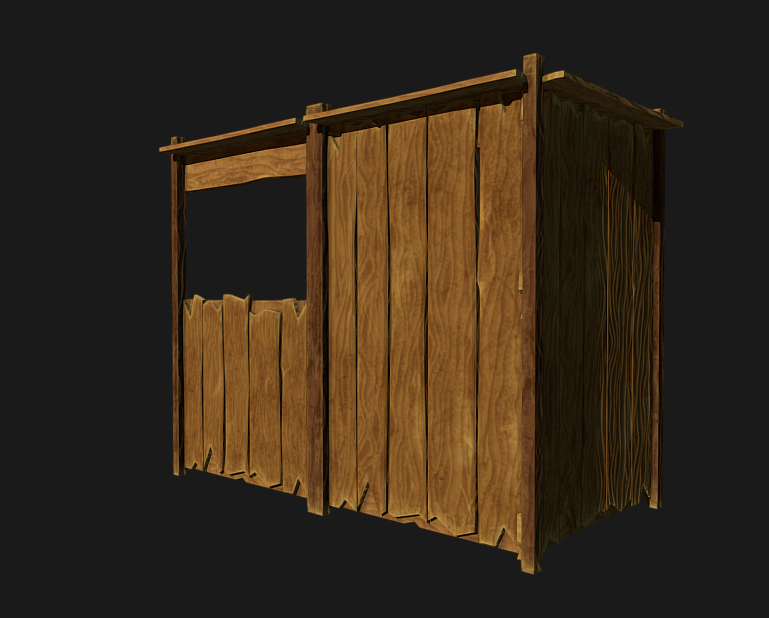 As this is quite a big feature we’re not done with all the new parts yet, but here’s a peak at the new wooden wall with and without a window! We wish you a good weekend and hope you enjoyed the blog! See you next time! Hi! Can I receive latest updates for linux mint and win7? I’m realy glad to see the game is still in development. Discovered this week played a little and fell in love with it. I’ve read the blog and the game is so beautifull. Keep the good work. Do you plan to realease it with a multiplayer feature? there will be no multiplayer feature.